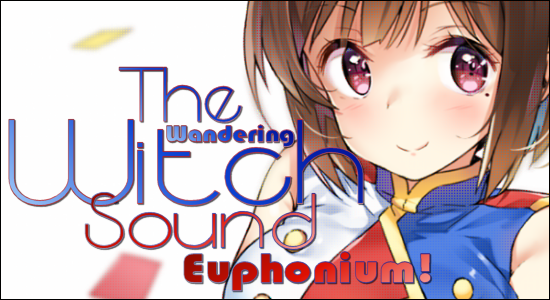 91.8 The Fan » Blog Archive » The Wandering Witch – Sounding Euphonium! Welcome, all, again. It’s proving to be a fun viewing season, with great offerings in many different genres. But I am especially grateful for Sound! 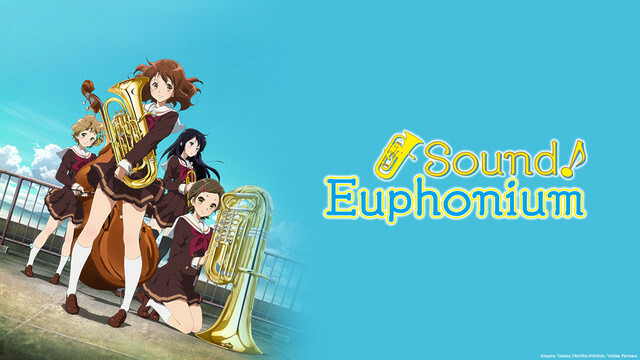 Euphonium, a really strong slice-of-life entry. 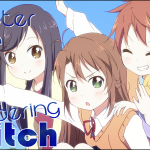 As regular readers will already know, slice-of-life is my favorite genre, and this show represents its purest form: no entangling, underlying moral or unconvincing premise, but rather a total reliance upon realism in both character and story. Sound! Euphonium originated as a novel by Ayano Takeda, published in 2013, and is set in Uji, Kyoto. 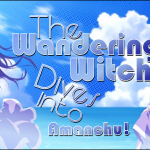 An online manga adaptation followed in 2014, and we now have the anime by studio Kyoto Animation, which simulcasts on Crunchyroll on Tuesdays at 12:00pm CDT. But the new school year has also brought a new music teacher and Concert Band advisor, Noboru Taki, whose strict adherence to method and sneakily polite bluntness confound and challenge his students. Taki-sensei seems to believe that students must independently motivate themselves, while it remains the teacher’s role to guide those students once they demonstrate effort. 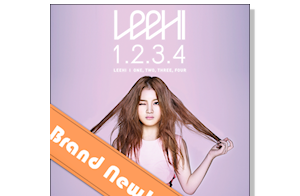 This approach takes the band members by surprise, and more surprises are coming. Like voting upon goals for the band. Like threatening to forbid the band’s participation in a local music festival. And like initiating auditions amongst all band members to earn the right to perform in competition, something to which the upperclassmen were traditionally entitled by status. 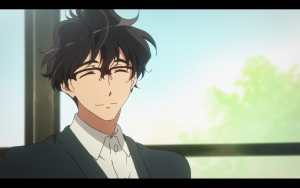 Taki’s handsome good looks might make his female students sigh, but the whirlwind changes he has unleashed has many students unsettled, including Concert Band president Haruka Ogasawara. 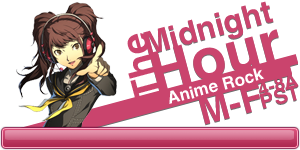 Haruka is a third-year student who watched the Concert Band self-destruct the year before, and it haunts her, particularly as it was what propelled her into the band’s presidency against her own better judgment. 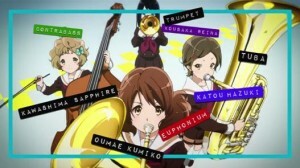 As Kumiko and her friends discover, band members had previously been polarized over their goals in participating, with less-dedicated members (primarily first-years) seeking to excuse themselves from the diligent practice needed to master and produce beautiful music. 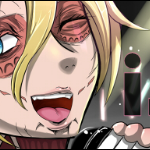 This rift intensified and eventually drove many of the more-dedicated band members to quit band and seek other clubs and activities in which their enthusiasm might be appreciated. The result is that this year’s freshmen join a band with few second-year students, most of whom remain rather apathetic. As suggested by their opening performance, Concert Band is depopulated and demoralized, and Haruka doubts that she has the strong personality needed to resurrect the struggling club. 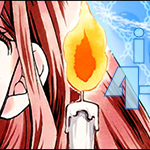 So she frequently relies upon her vice-president, the redoubtable Asuka Tanaka, a raven-haired, bespectacled beauty who is charismatic and just a little bit of a bully. And lucky Kumiko(! )–this bully just happens to be another euphonium player as well as her section leader. I won’t lie to you, I was hooked within the first few minutes of watching this show. Any music-based series that has the courage to open with such honest, earsplitting cacophony deserves respect. And honest is just the right word to describe the entire series. Episodic storylines are honest and believable, as is the story arc itself, despite being somewhat compressed. The characters are likewise honest and believable, from Kumiko’s indecisiveness to Taki’s apparent sly, arrogant superiority. You need not have been in band to recognize and appreciate the mirror which this series holds up to virtually everyone’s high school days–the small triumphs and tragedies, the insecurities, the looming watershed of graduation into a bigger and wider world. And to think that it all happened–happens–one day at a time. Sound! 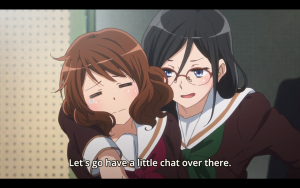 Euphonium perfectly captures that realization and delivers it as a joy to watch. As soon as it’s available for purchase, this show is joining my collection! Thanks! This is one of my favorite shows this season. . .